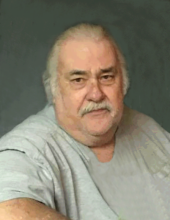 Mr. Thomas Larry Swan, age 71, of Dallas, GA passed away Tuesday, September 11, 2018 at his residence. He was born in Rockmart, GA on December 19, 1946 a son of the late James Edward Swan and the late Ruby Myrtice Baker Swan. Mr. Swan lived the early years of his life in the Carrollton and Rockmart area before moving to Dallas where he had lived the greater part of his life. Mr. Swan was a NASCAR fan, loved fishing and had been a self employed masonry contractor prior to ill health. Survivors include a daughter, Shea Camp (Dennis), Rockmart; a son, Chuck Swan, Aragon; four grandchildren; one great granddaughter; two brothers: Steve Swan, Rockmart and Gary Swan, Dallas and a half brother, Bobby Baker. Memorial services will be held Thursday, September 13, 2018 at 4:00 pm in the chapel of the Alvis Miller & Son Funeral Home. . The Family will receive friends Thursday from 2:00 pm until the service hour at the funeral home. The Alvis Miller & Son Funeral Home is in charge of arrangements for the memorial service of Mr. Thomas Larry Swan. To send flowers or a remembrance gift to the family of Thomas Larry Swan, please visit our Tribute Store. "Email Address" would like to share the life celebration of Thomas Larry Swan. Click on the "link" to go to share a favorite memory or leave a condolence message for the family.